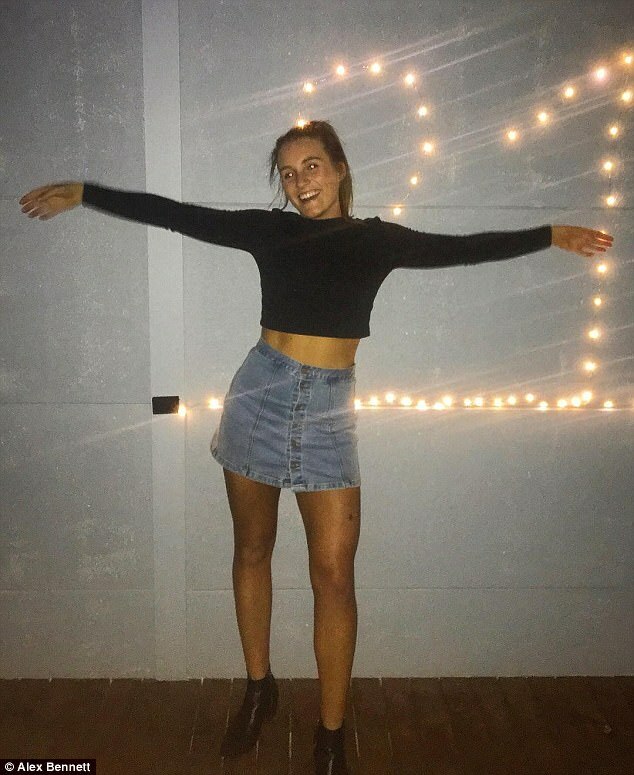 A 21-year-old Melbourne woman who underwent a body transformation in just eight weeks, has spoken about how she achieved it. 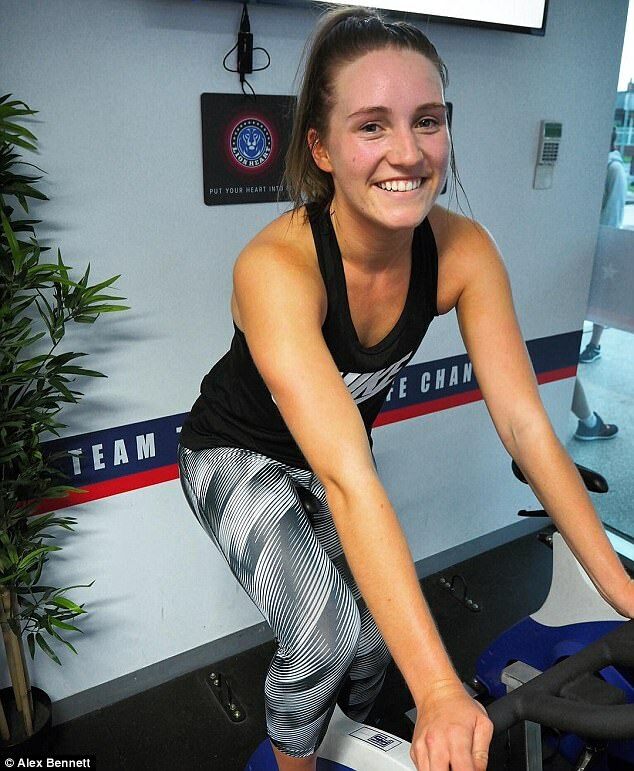 Alex Bennett, 21, started training at fitness gym F45 in December last year but was looking to take on a new goal. 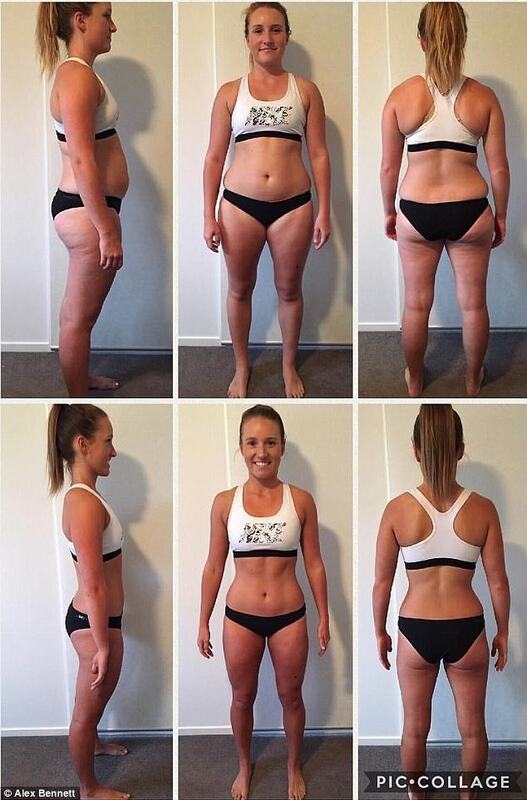 When, in February, her Geelong-based gym offered members the change to get involved in a challenge to lose weight and overhaul their diet, she decided to give it a go. 'I really wanted to up my healthy eating. I needed to get back into a routine and kick some of my bad habits to the curb,' Alex told Daily Mail Australia. The eight week challenge provided nutritional information, meal plans and advice, as well as daily workouts at F45 clubs, which Alex said was ''an opportunity to further my fitness'. 'I started at 75.7 kilos and went down to 65.2 kilos,' she said. Alex is now regularly asked how she dropped 6.5 per cent of her body fat so quickly but she puts it down to good old fashioned exercise and portion control. 'I was kind of overwhelmed at the start. It all seemed like so much. But I just listened to little tips people told me — drink three cups of green tea a day, have lemon with hot water early in the day,' she told 9Honey. 'Now I’ve learned heaps and everyone always asks me about it. They say it’s so confusing but I tell them it’s quite interesting learning about it all, about what’s good and what’s not, and how to read food labels,' she said. 'I stopped having snacks late in the afternoon or the early evening. That was one of the little things that was hard. But instead I’d just eat dinner earlier and go to bed earlier,' she went on. The challenge involved two weeks' of 'detox time' followed by a new focus on nutrition, and Alex said preparation was key to her own success. 'I listen to my body now and eat a little bit more. I like to prepare my meals on Sunday so I'm set for the week,' Alex told Daily Mail Australia. 'When friends go out for a social breakfast I sometimes suggest we just go for coffee because I know I've prepared my morning meal at home. 'It doesn't put me out too much,' she said. In addition, if she saw her family eating a particular dinner she'd just remove herself from the room so she wasn't tempted. She also said she also didn't start off training every day - it was a process. 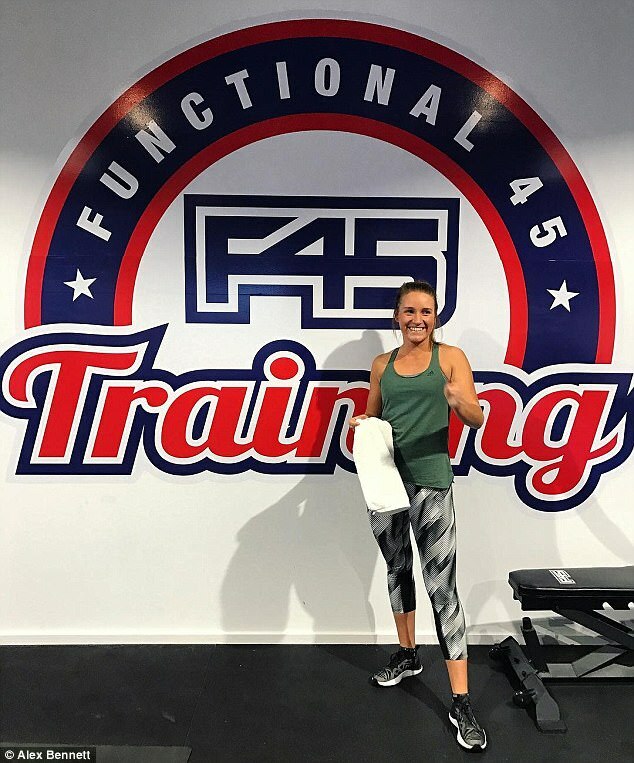 After eight weeks Alex was crowned the F45 challenge's top female transformation globally - a feat she wasn't expecting. 'Honestly did not think these kind of results could happen within a short eight weeks but F45 you have proved me wrong,' she wrote in a caption on Instagram. 'It goes to show if you put in the hard work, stay consistent and surround yourself with other like minded people you can achieve a lot more than you could ever imagine. 'It's very true that once you start to see results you become addicted,' she wrote.